The Srirausage is born. Long live the Srirausage! the combination of sausage, sriracha, ginger, fresh garlic, green peppers and green onions provides a playful, lingering heat that dances across the palate. Booya!! 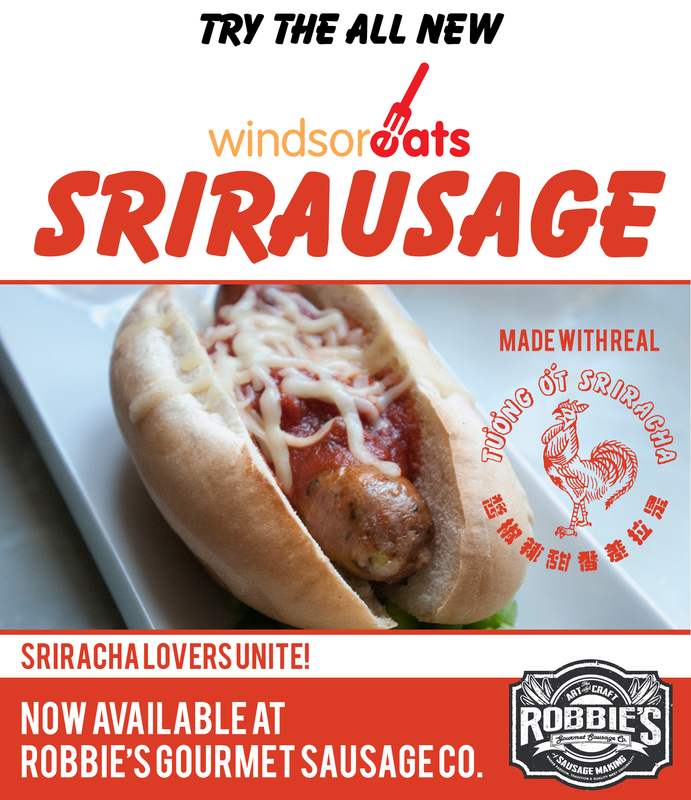 WindsorEats, in collaboration with Robbie’s Gourmet Sausage Co., have come up with a sausage unlike any other, by combining the delicious juicy flavors of Robbie’s sausages, with the spicy fresh flavour of sriracha. The sausage itself has the distinct aroma of the sriracha while producing subtle heat on your palate. The freshness of the ginger really comes through to give you an all around Srirausage experience. “The Srirausage is a far reach from any of the sausages I’ve done so far. 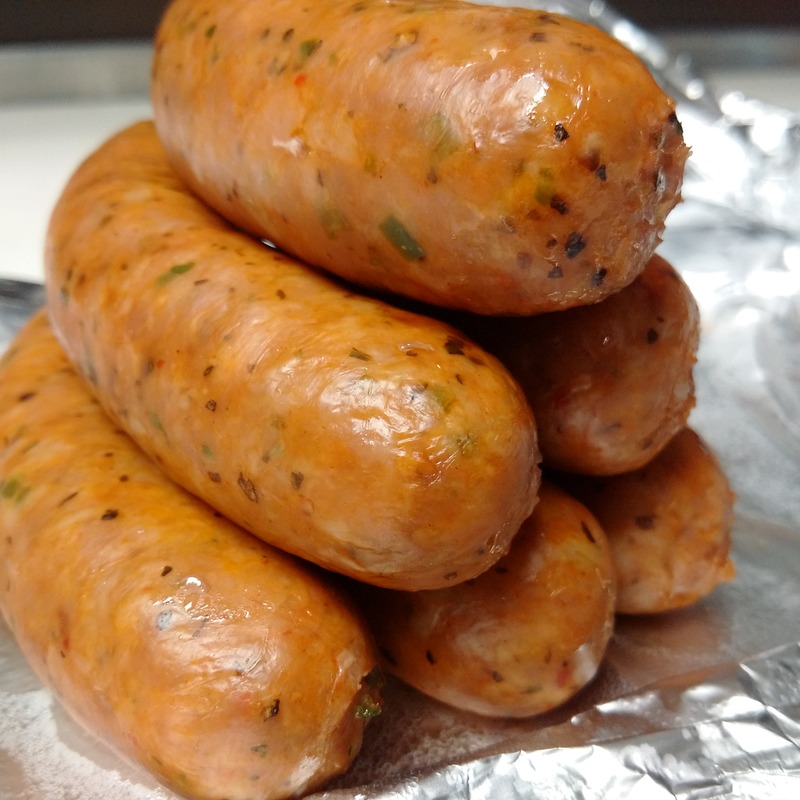 I’m very pleased and extremely happy with the results and am positive it will be a new favourite” said Robbie Bornais, owner of Robbie’s Gourmet Sausage Co.
Do we have you drooling yet? Well, these heavenly creations are available now for purchase at Robbie’s Gourmet Sausage Co. You can also get your hands on some at Rock Bottom Bar & Grill, which will be serving the Srirausage as a special on May 2-6, 2016. WindsorEats and Robbie worked together to create a sausage that would stand out from all the rest and this creation became a masterpiece. WindsorEats provided the bold new idea and Robbie worked his chef magic to make the best damn sausage ever! WindsorEats is always focused on building community partnerships with local food and beverage companies across the city. We are looking to create an entire line of products with various local food and drink producers to further promote not just ourselves but the businesses creating amazing products like the Srirausage. Any and all creative and bold food ideas are welcome! 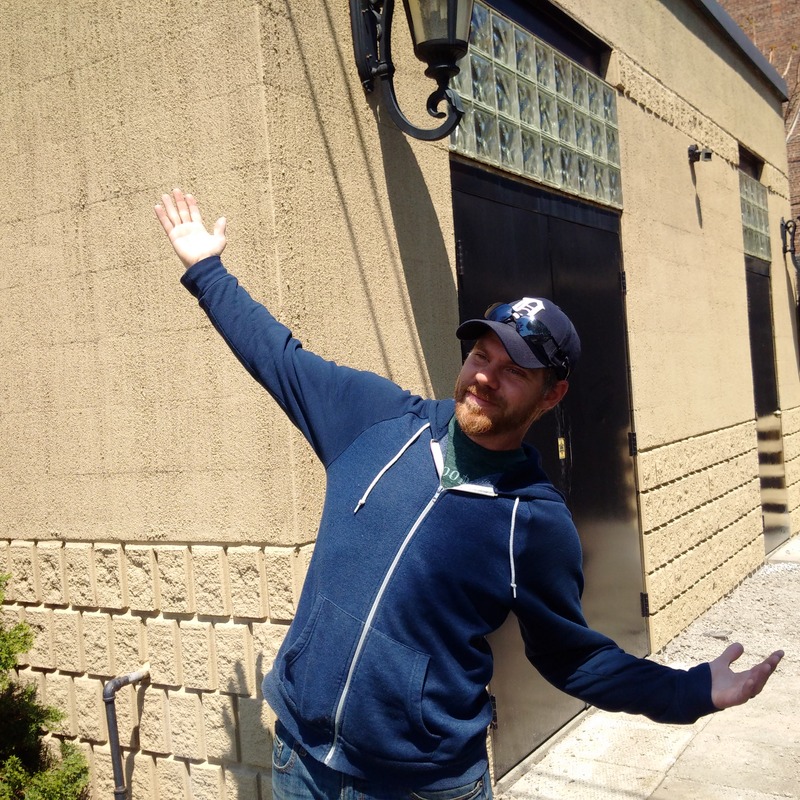 “With our upcoming Sausage Fest in August, we thought partnering with Robbie to create a unique sausage would be a great way to showcase all the fun and tasting things we’re both doing,” says Adriano Ciotoli, co-owner of WindsorEats. This man loves his sausages. “We wanted to work closely with local food producers in the region to create fun, unique and high quality products that were a distinct reflection of WindsorEats.” said Pina Ciotoli, co-owner of WindsorEats. Make sure you don’t miss your chance to to get your hands on this delicious and exclusive Windsor born sausage. He’s a beauty (wink wink). 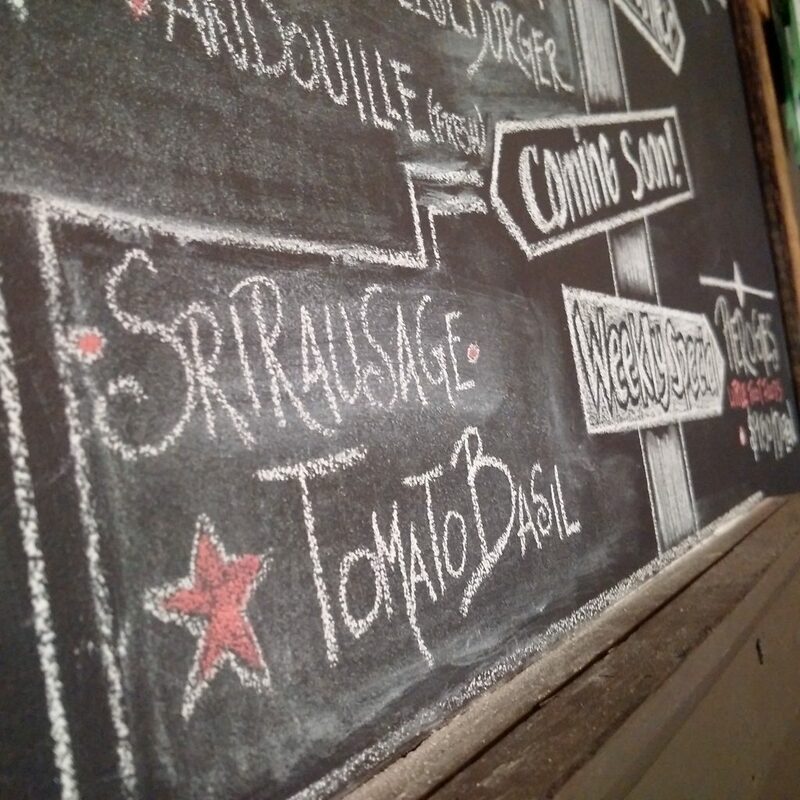 We know, sausage jokes are the wurst!